A wood stitch&glue singlehander with trapeze skiff. 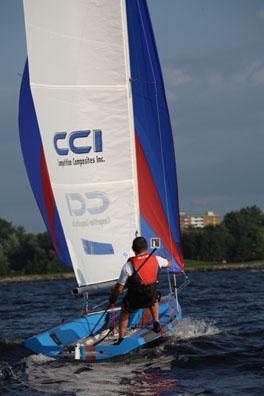 This has been designed to be a fast, light and easy to build high performance sailboat suitable for everything from fun rides at the cottage to full on racing . 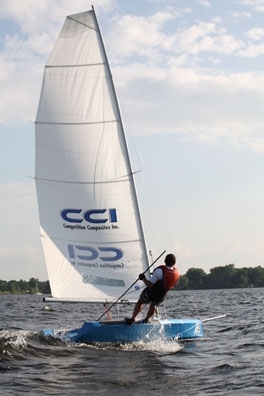 CCI ( competition composites inc. ) offer the plans and kit in various forms to suit a range of skills ( if you want us to complete one for you, please contact us ). Having built one of these boats ourselves , we have been able to produce a comprehensive easy to follow construction manual packed with relevant photos and based on real experience .